While most people, particularly in the UK, may have heard of Laura Trott, Olympic gold medal winning cyclist, probably few outside of those who are avid followers of cycling may have heard of Emily Collins. 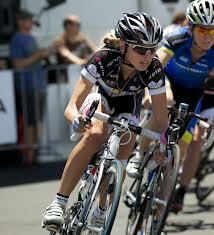 Collins is a team mate of Trott on the Wiggle Honda professional cycling team. Last Saturday, in the women’s race at the Ride London event, Emily Collins was one of the lead out riders, along with Dani King (herself an Olympic gold medal winner and world champion), who set Laura Trott up for victory. Prior to that, during the race Collins had been one of the riders who had repeatedly attacked off the front of the peloton, stretching the competing teams. Clearly, those who were watching, like those who have watched Mark Cavendish win sprints in recent years, remember the star rider but rarely remember the team members who were a fundamental part of achieving the victory. Cavendish, after every victory, always praises the contribution of his teammates. Indeed, conversely, despite earlier problems with his lead out train in this years Tour de France, when pipped by Marcel Kittel in stage 12 he praised his team mates for setting him up but admitted he had failed to deliver on that occasion. While I’ve worked with many great people I have also worked with a couple of people over the years who are happy to take the glory from other peoples work, without attributing their teams contribution, yet are rarely to be seen when things go wrong! In ‘Good to Great’, Jim Collins analysis of companies that make the transition from good or average to great and lasting corporations, he picks out a number of characteristics, where, in relation to their leaders, they are humble and put the company first. They are often not seen as charismatic but actively put others forward. It’s worth asking what type of team player are you?